Concrete, aluminium, steel Tom Strala is a designer who makes design. Furniture and lamps. 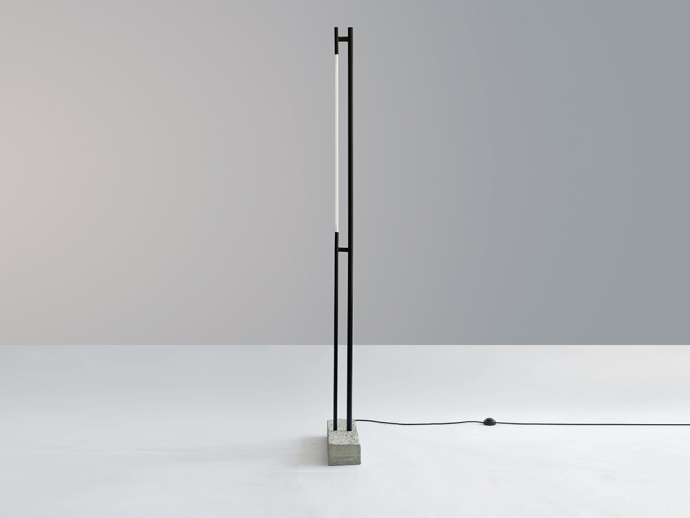 Radical concrete lamp in Paris and New York and Moma. Tom Strala created this light with a concrete foot. The raw of this piece of furniture makes it a little rare. Color and form correspond to the artist's imagination. This radical way of thinking is reflected in these exhibits. Life in art and design is full of joy. The forms of the design are complex and also radical. Furniture and lighting stand for contemporary art. Objects and artefacts are sold with us. Come to the P! Gallery and look at the lamp made of concrete and steel. Metal is something nice. These works of art are beautiful. Exhibited in the museum and at the Miami Art Basel also. Created for the living room and as a furnishing item. Living art objects, which appealed to the Documenta and the Venice Biennale. Collectors all over the world from Berlin, Vienna, Munich or Hamburg love these works and buy them. Sales with us. Come to Zurich in Switzerland. The art trade and the auction houses are a good thing. This should remain so and design becomes something good.